A recent study has found that today's fathers want more involvement in their kids' lives and as a result are more hands-on, present, patient and understanding than ever before. The report also finds that the father's role as the primary disciplinarian is shifting. Today's dads see themselves as less strict, feared, distant and work-focused than their own fathers. Most see their role as protector, mentor and teacher. 44% say parenting is harder than in previous generations. 50% find that raising children is a lot harder than they thought it would be. 62% want to be more involved in their children's lives. Over 50% say their workplace doesn't align with their desire to be there more for their kids and doesn't understand the changing roles of being a father. 78% believe they are doing a good job as a dad. 80% are grateful to be a father. The study also identified three categories of modern dads. Provider dads - they are the primary breadwinners who receive parental direction from the caregiver who is not working or working part time. Super - subs - they are the primary breadwinners, but also act as relief caregivers. They employ a tag-team system of parenting. Carer dads - they are the primary caregivers and are only occasionally or not the breadwinner and have a partner that works full or part time. They are hands on, proactive and ignore parenting-related gender bias. 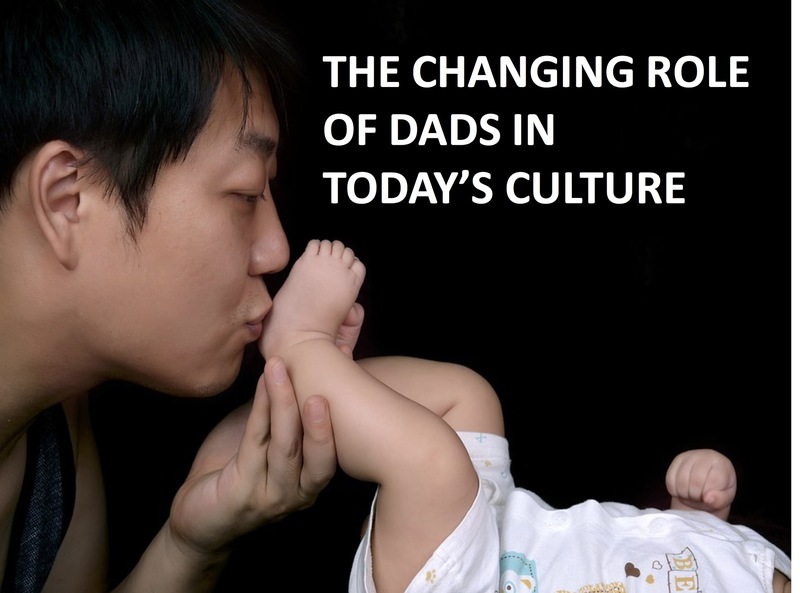 According to the study, today's dads want marketers and programmers to more accurately reflect the changing role of fathers. 42% agree that the media portrays dads as stupid or clueless. 50% believe the media should portray dads as sensitive and nurturing by showing them interacting with their kids and enjoying activities with them. The fact that today's dads want to be more involved in their kids lives is a great thing. The church has a wide open door to teach fathers how to be a spiritual leader for their kids.